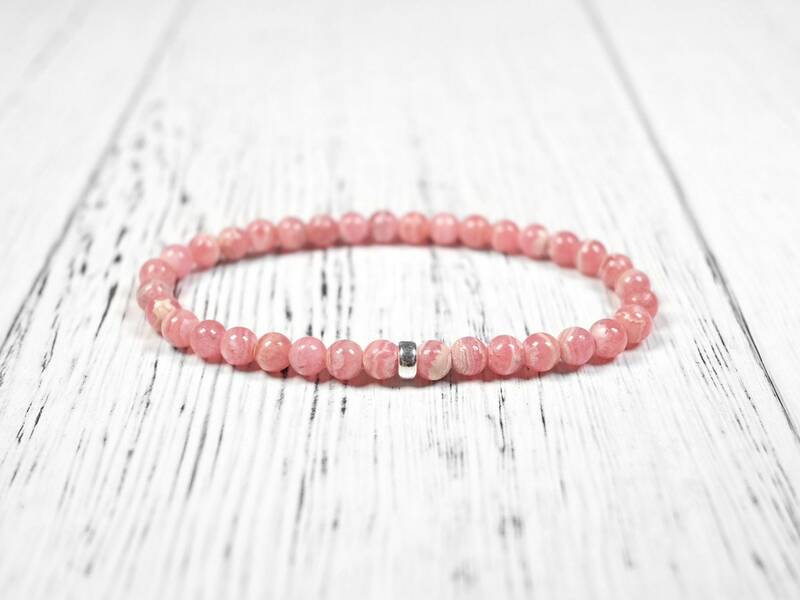 Like rose quartz, the naturally pink rhodochrosite is considered a powerful love stone. 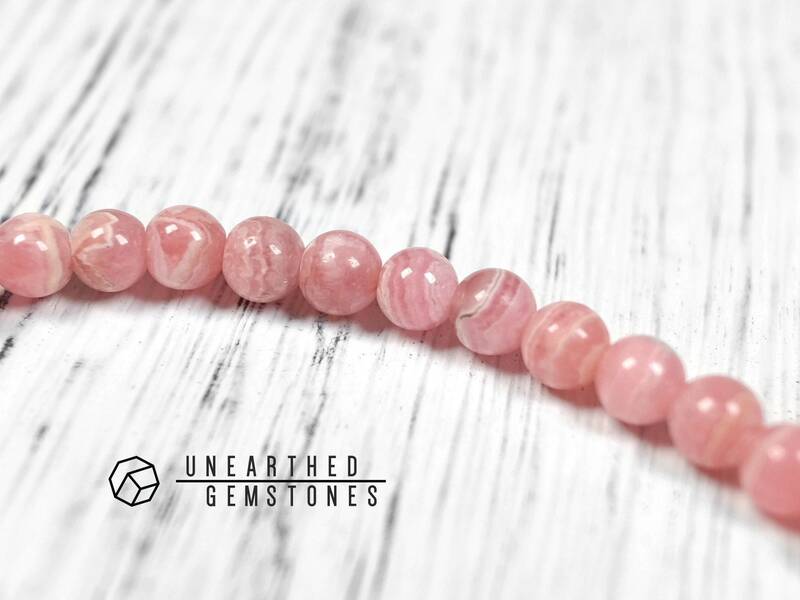 This rhodochrosite has organized and attractive pink and white bands. 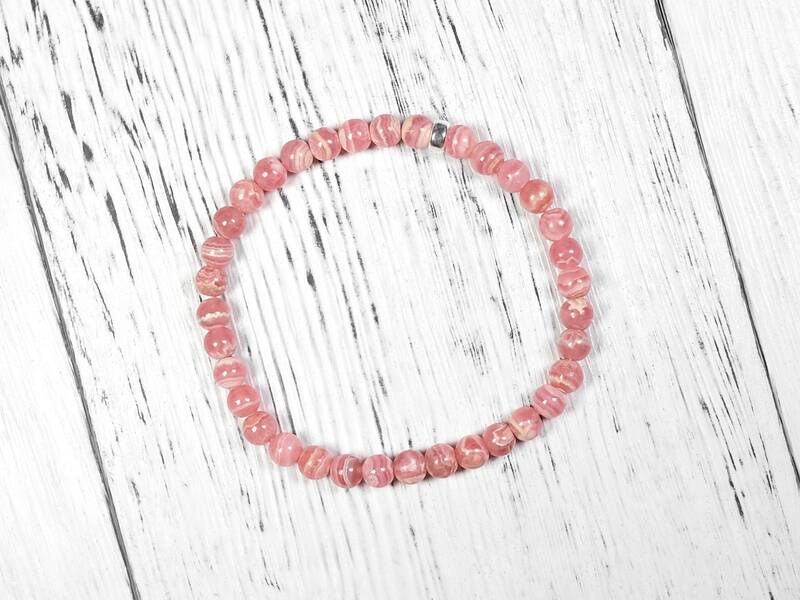 The color is pretty rich and vibrant. 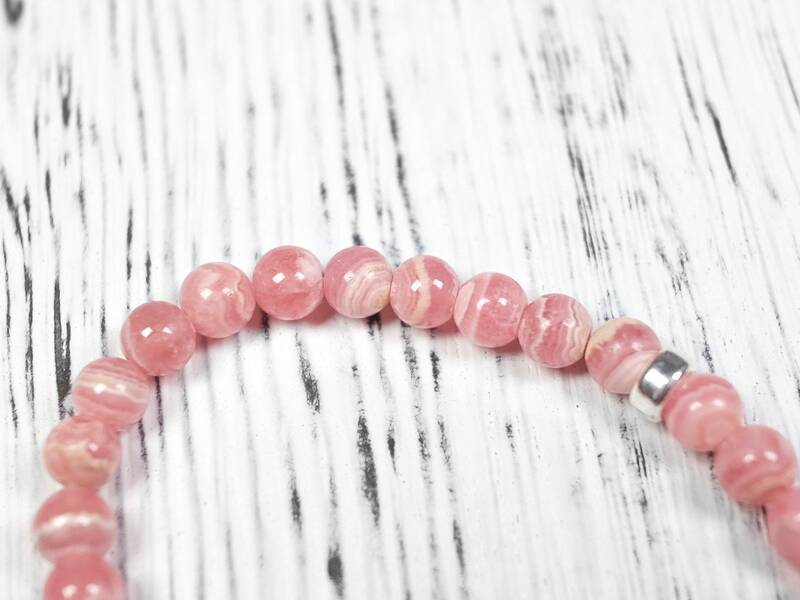 There are little to no black spots on this rhodochrosite. 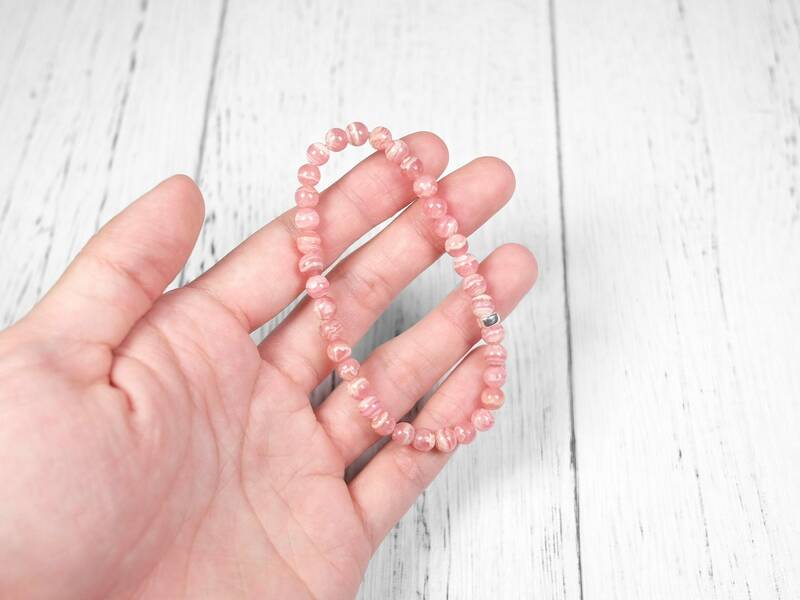 Very high quality natural rhodochrosite. 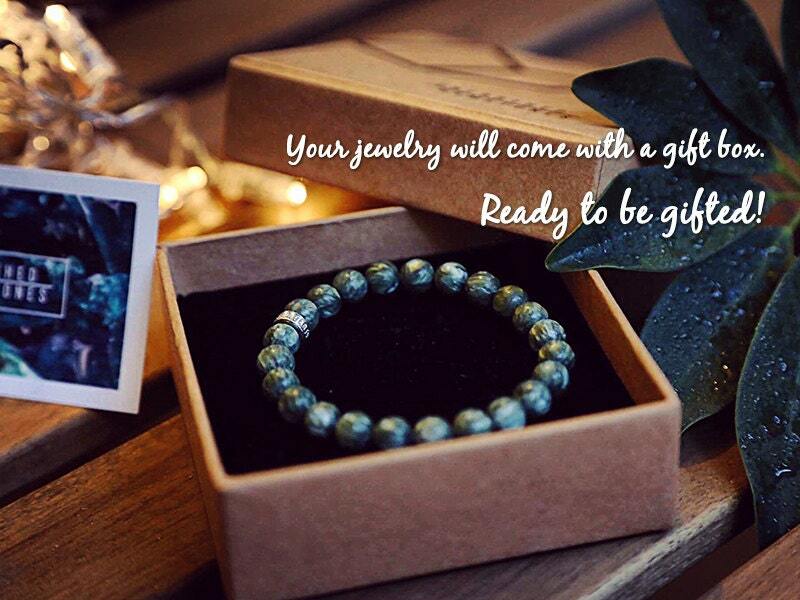 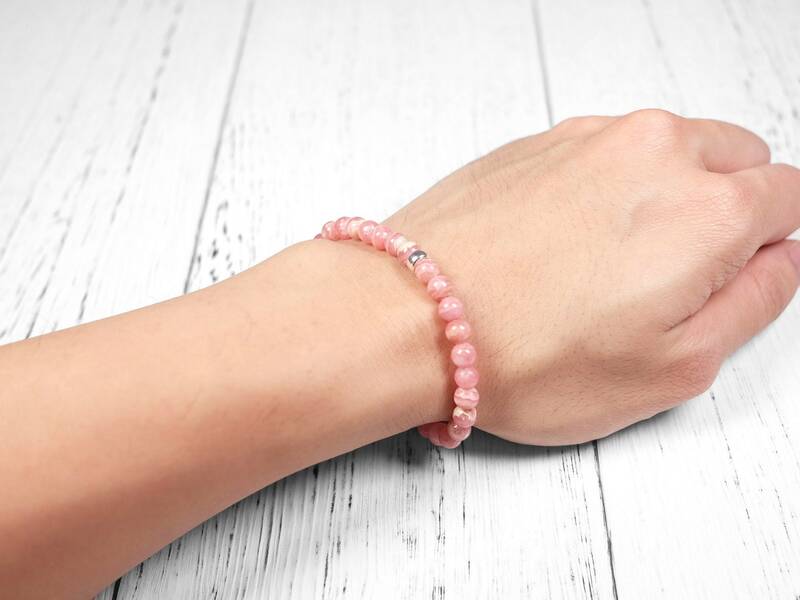 This bracelet makes a lovely gift for yourself or someone special! 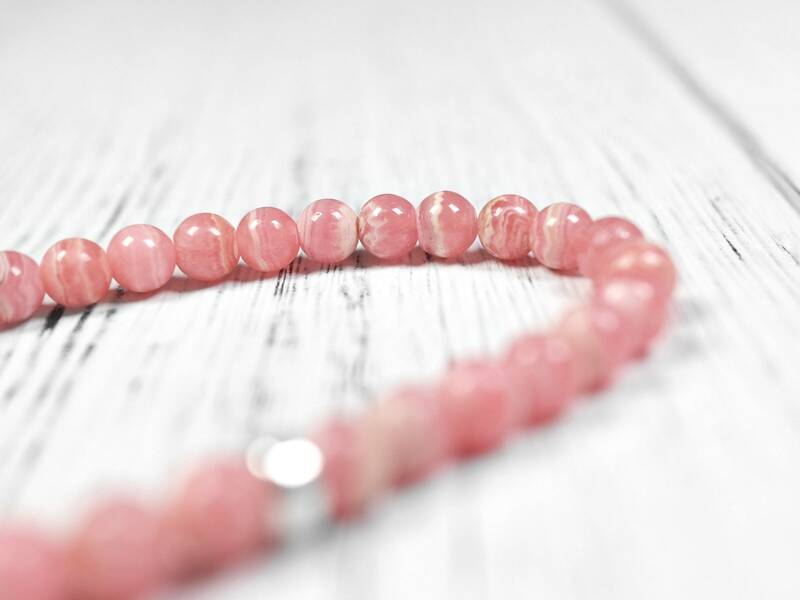 Rhodochrosite is a pink to red mineral that has gained popularity in recent years. High quality rhodochrosite crystals with a bright red or hot pink color command high price in the gemstone market due to their rarity. 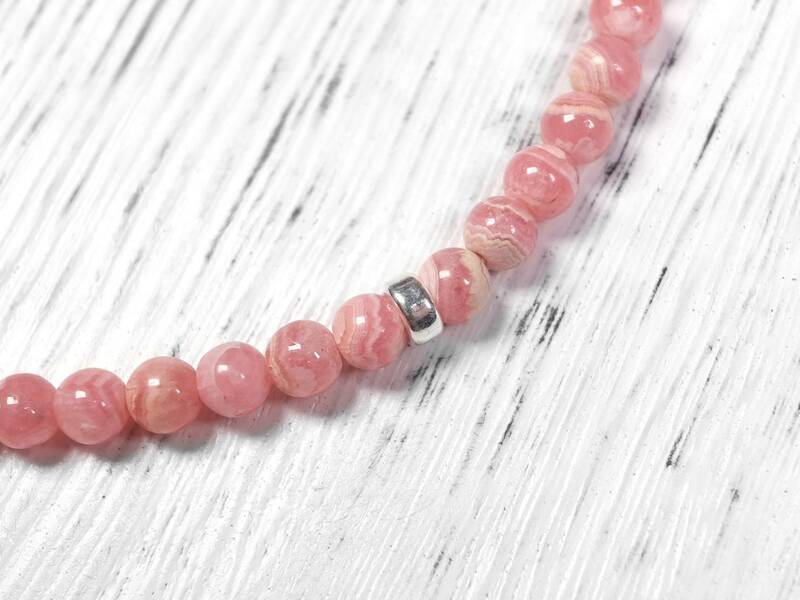 Rhodochrosite is the national gemstone of Argentina after major deposits are discovered there.